When most of us think about Passover wines, we think about the standard Manishewitz (Extra Heavy Malaga or Concord Grape) or Kedem wines that traditionally accompanied the Passover Seder. While some people still prefer those time-honored favorites, today’s wine lovers may want something more at their Passover tables. 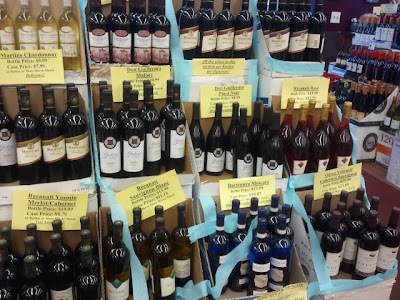 Port Washington’s many excellent wine stores, including Bottles, Black Tie, and Main Street Wines are offering an array of kosher for Passover wines, which will pair with anything you plan to serve. Black Tie offered some tips on what to choose. As a general rule, choices of wine will be the same whether the wine is kosher or not, so generally red wines (Cabernet Sauvignon, Pinot Noir, Shiraz, Merlot) pair best with meat, whites (Chardonnay, Pinot Grigio, Sauvignon Blanc) pair best with poultry and fish. If you are serving brisket or meat – try Don Guillermo de Mendoza (from Argentina) Cabernet Sauvignon or Malbec, priced at a reasonable $9 to $11 per bottle. Both wines are dry, with the Malbec possessing a bouquet of cherries, berries and mature figs. The Cabernet has been described as having a voluptuous and full-bodied bouquet with hints of cherry and mint. Either would be suitable with a brisket or beef dinner. If you are serving chicken – try Recanti (from Israel's Upper Galilee region) Chardonnay. 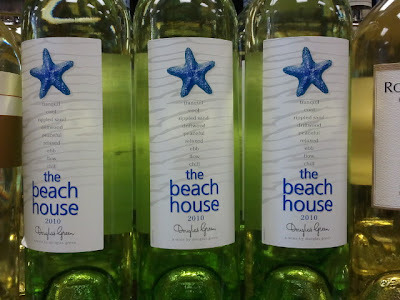 At $15, it is a perfect mid-priced kosher table wine. Described as pale straw gold colored, this wine is full bodied with a long smooth finish that will complement a poultry dish. Serve this wine chilled. If you are a guest and want to bring a bottle: Splurge on Shoresh 2008, a blend of 90-percent Cabernet Sauvignon and 10-percent Syrah, with flavors of dark fruit and spices. This wine from the Judean Hills of Israel was aged for 18 months in French oak barrels. The poor and rocky soil of the area forces the grape vines to fight to live, which results in concentrated grapes with an intense flavor. At $33 a bottle, it’s not inexpensive, but it is a great way to show your appreciation for a Seder invitation. And of course, Manishewitz and Kedem are also available for those who want to stick with tradition. Amid the misery of the current nuclear situation in Japan, and as panic starts to spread about the threat of radiation, scientists have finally come up with a bit of positive news.... Red wine may be protective against radiation. Impending nuclear attack? Then scientists may soon recommend that it is best you start drinking heavily and not just because you may be facing oblivion. According to the latest research, red wine - along with its many other claimed benefits - may also protect you from radiation exposure. "New, small molecules with radioprotective capacity will be required for treatment in case of radiation spills or even as countermeasures against radiological terrorism," said Dr Joel Greenberger of the Department of Radiation Oncology at the university. "Small molecules which can be easily stored, transported and administered are optimal for this, and so far acetylated resveratrol fits these requirements well. "Currently there are no drugs on the market that protect against or counteract radiation exposure." 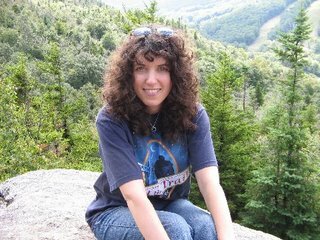 The study was overseen by Pitt's Center for Medical Countermeasures Against Radiation, which is dedicated to finding radiation protecters that can be administered in the event of a large-scale radiological or nuclear emergency. The current research is not connected to advice given to workers cleaning up Chernobyl who were told to drink half a glass of vodka after every two hours of exposure to radiation. In 2006, I visited the Rodney Strong winery in Sonoma, CA. What I remember most about it was the very nice tasting room and the extremely knowledgeable staff in that tasting room. When you go to a winery, you often get an opportunity to taste wines that you'd never be able to get in the store. In fact, some of our favorite wines from that trip (namely Gundlach Bundschu wines) are not even available in my neck of the woods (NY). I enjoy trying to find the Sonoma wines that we had in California out here. So whenever I see a Rodney Strong, a Chateau St. Jean, or a Sterling (all of which are fairly easily available here), I pick them up to see if they taste as good here as they did there. This 2008 Rodney Strong Chardonnay was on sale at my local wine store for about half it's normal price (which is around $14). It had an aroma of yellow delicious apple with a hint of oak. It was fairly smooth, with a slight fruitiness and a bright aftertaste. 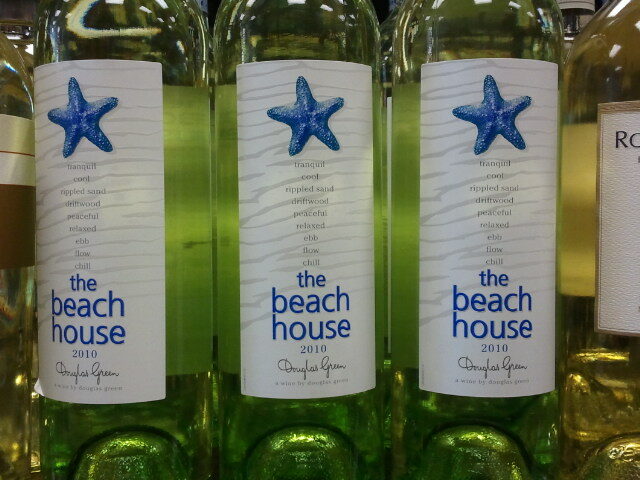 All in all a good solid (but not great) chardonnay. Would I get it again? Yes. Would it be good to bring to a dinner or party? Yes. I suspect it will taste even better in another year. According to the results of a new study, drinking a small amount (half a glass) of wine increased life span by five years. Of course, limiting yourself to half a glass could be challenging. 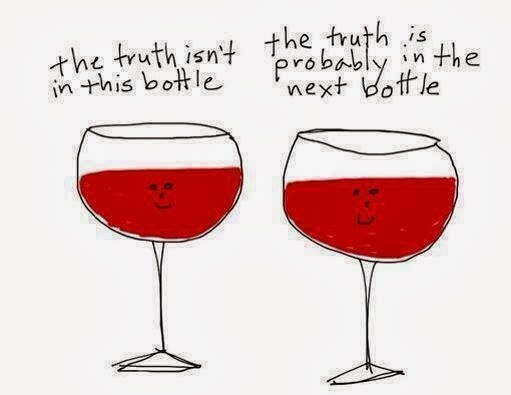 I love good health news about wine... don't you? And really, there's been plenty of it. But today I saw one I hadn't seen yet. A new study found that drinking a glass of wine a day may lower the risk of Barrett's espophagus, a precurser to esophageal cancer. Barrett's affect about 5% of the population, and people with the condition are 30 - 40 times more likely to develop esopheagal cancer. Researchers looked at close to 1000 men and women in California (where, I must add, the wine is quite good), and found that those who drank one or more glasses of wine (red or white) were 56% LESS likely to develop Barrett's. Beer or liquor did not have a similar effect. So... next time you have a glass of wine... toast to your health! This video was actually created prior to Robert Mondavi's recent death. It has old archival pictures as well as quotes on what inspired him. Check it out! There is a three part interview of Robert Mondavi available on You Tube. If you're interested in learning more about him, in his own words, check it out. Robert Mondavi, the California wine legend who changed the status of American wines, has died at the age of 94, according to the NY Times. 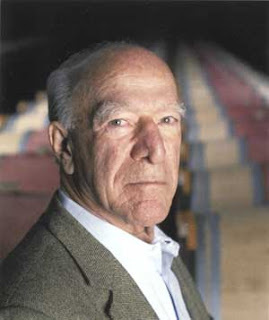 I've written about Mondavi in the past on this blog -- visit the archives to view the old stories. One can't help but be impressed with Mondavi's achievements. After a bitter fight with his brother, he split from his wine-making family at age 52 and started his own winery. Over the next ten years, he introduced French techniques (such as using oak barrels and cold fermentation) to improve the typical jug wine that was being produced. In 1976 came the momentous tasting when, to the shock of many, California wines beat French wines in a blind taste test. Since then, California wines have steadily improved and are on a par with the best wines in the world (at least in my opinion). Mondavi left quite a legacy. So tonight, as you uncork your California cabernet or chardonnay, drink a toast to Robert Mondavi whose vision changed the face (and taste) of California wines. You can't blame me for trying it. After all, there it was, right before Halloween - Vampire Merlot. Better yet, it was an actual product of Transylvania! Plus, it cost less than five bucks. So who could blame me? "An intense dark plum bouquet typical of a very young wine is just starting to open up and reveal the full, true character of this wine. The wine's lively, dark purple color will destroy your carpet so be careful! Already the soft fruit flavors are starting to integrate well with the powerful structure of this wine, which marries soft tannins with vanilla hints of fine American oak. Made in the modern reductive style, this wine is perfect to enjoy now but has the structure to age for many years. A big wine, Vampire Merlot can take on the biggest char-grilled steaks and barbequed pork cutlets that you can throw at it, but it also has the fine elegance of this classic variety, allowing it to be served at parties with buffet foods and dips." This is how I describe this wine -- "This merlot was to me what the blood of an anemic person would be to a Vampire... thin, sour, and unfulfilling." But what do you expect from a Transylvanian wine? There's a reason it's the home of ghouls, not grapes.